Carefully slice the pepper, onion, carrot, and beets using a Japanese mandolin set to slice at 1/8-inch thickness. 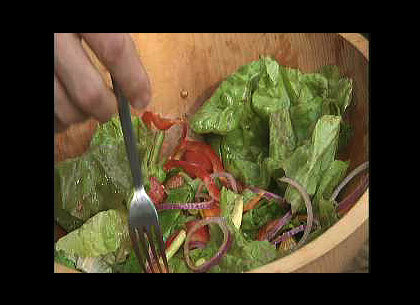 Place all ingredients into large salad bowl and toss together. Serve on chilled salad plates. This segment appears in show #3211.